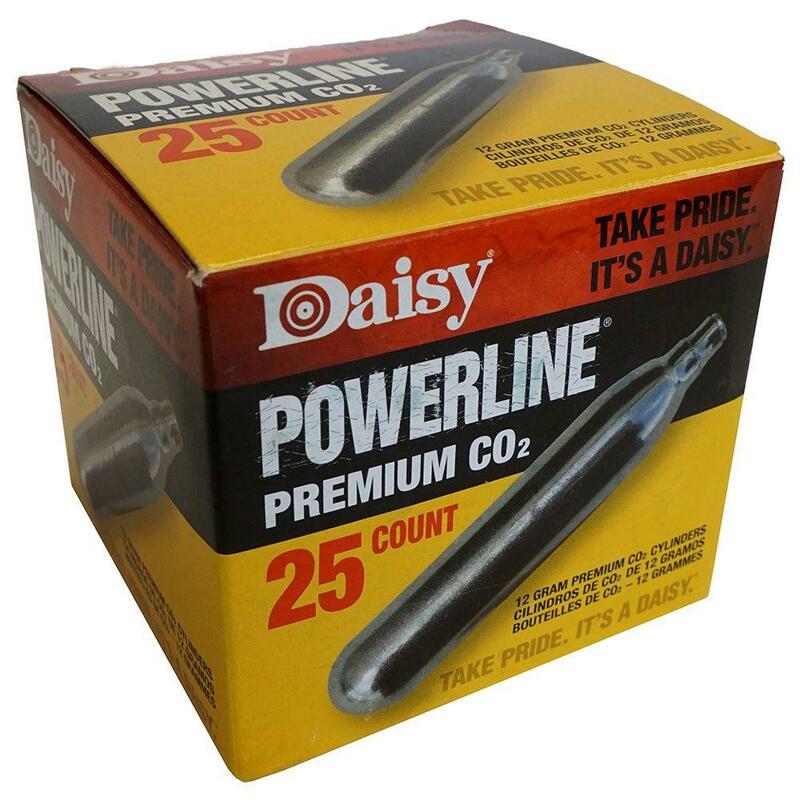 Buy Cheap Daisy 108 PowerLine CO2 Cylinders 25 pieces |ReplicaAirguns.ca | Easter Weekend Sale! Comments: Keep your high performance, gas-powered air guns operating smoothly with Daisy PowerLine Premium 12 gram CO2 cylinders. These handy replacement cartridges have a stainless steel finish and provide a snug fit and solid seal for a reliable, consistent performance in almost any CO2 gas-powered gun. This product also comes in a 5-Pack, 15-Pack, 20-Pack, 50-Pack, and a 500-Pack. The CO2 level on these capsules is very consistent between individual capsules. I also like the box. I keep all of my CO2 capsules in the original box and it has not torn yet. They can be found a bit cheaper on other websites but I typically use these to hit the free shipping bonus so it all works out. I have been using these for a while. They seem to be consistent and of good quality. I can get 4 to 5 mags on a blow back pistol with one cartridge. The only reason I did not give 5 stars is the price. I can get it elsewhere for less, but the product is good.